Anonymous, 06 Sep 2007Hey does anyone know why when i try to retrieve something from bluetooth it always says 'sendi... moreof couse.. i also had the same problem with my vs6... all panasonic phones can only exchange less than 1MB of data via bluetooth and infrared...i think it can not be fixed..if anyone can fix this...please help me.. This is by far the best mobile I have ever used. I only have to charge it every second day apposed to twice a day like my Motorola V3x that I even got a higher complicity battery for! Dose any one know how to delete words for the T9 Dictionary on Panasonic's VS/SA/MX line of mobiles however? 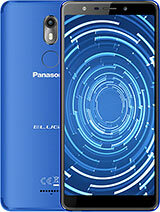 panasonic, im patiently waiting for ur new line up of mobile phones powered by linux OS! my suggestion, make a lumix branded phone! dat wil b a great idea! of course, d lens should b at least CCD lumix branded or better yet leica with ur famous OIS! wow! 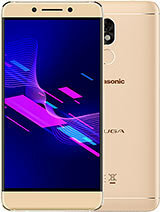 i have owned a panasonic SA7 for about 9 months now. has been the best phone i own. but rescently the rubber on the out side is tearing away and the screen is getting scratched on the phone its self. but al to gether is an excellent phone. You will be able to order a SA7 from http://www.wirelessgalaxy.com (this is where I got mine from) as they do ship to Bulgaria. You've got great taste in mobiles if you going for this one. I got mine from WirelessGalaxy, but unfortunately Kenya is one of the very few places they don't ship to. I would choose this over an Apple iPhone even! 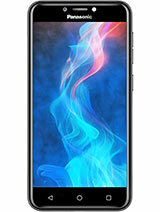 As I won't really use it for music or movies and the SA7 already has everything I want or need in a phone. 240 x 320 pixels QVGA resolution displaying 16 million colours at 2.5-inches, 2.0 megapixel camera, one push auto open, a talk time of up to 12 hours, the full version of Sonic pre-installed, and ultra reliability I can count on. I owned a VS7 before I got this one so already knew just how reliable it already is. In my opinion I have never found a line of mobiles as truly reliable. 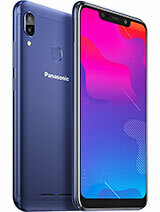 With some of these features in a much cheaper priced phone equalling and some even bettering the iPhone, you can see why I am so happy with my Panasonic mobiles. This phone is so much better than the more expensive Motorola V3x I owned. I mean I only ever charge this every second day apposed to my V3x I had to recharge multiple times throughout a day (I talk to my fiancee a lot whenever we are not together). The phone is the perfect size for me for maximum comfort. I am able to type faster on this phone than any other because of it and the button layout. It's incredible to think just how old this phone is now considering how good it is. To me this will always be THE phone. Panasonic mobile have been nothing but reliable, even after being left off for months, they still spring into life as if they were used just yesterday (had a Sony Ericsson that I hadn't used in ages that simply wouldn't turn on after that). The SA7 is quick, flashy, durable, has better photo quality than a V3x along with a lot of other 2.0 megapixel mobiles. It's also feature rich. Why get a SA7 when I already had a VS7? It's more durable, longer battery life, and slightly louder, all the key things that really count when it comes to a phone, and make a phone. I WANT IT in Bulgaria (Europe) at a proper price!!! Still too expensive and rare to find.. Such a Shame! 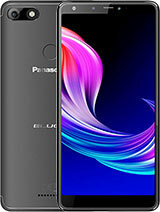 I will keep updating in this phonw as I use it and test it more. So far, I haven't found anything wrong with it. Thank you SP,for giving us price update. Well, I just bought this model and I must say: It's impressive! Comparing to old Panasonic phones that I used to have (those were like souvenir toys) this one is a REAL PHONE! To me, this phone is too slim, LOL. It would be even better if it was 30mm thick and not 26mm (maybe then we would have 2000 mAh battery). -Bluetooth works perfect for conversations, and that's all I need to use it for! THE SECOND CELL. PHONE KING OF ALL TIMES! This is a trully fantastic phone, after the famous Nokia 6310i! 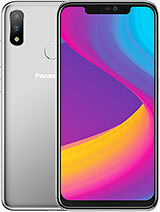 I'm really surprised to see that such a beautiful phone with incredible design, great batterry life, bluetooth, 2mp camera, and 16m colors, would have demand only in asian countries. GROW UP!! Thick and large (normal) phones will become very popular soon, after the slim mania created by American Motorola will die! (they ship from New York). this Sporty and Men-Designed phone is! does this phone work with tmobile and the whole sims cards thing?